In 2014, Trent Reznor and Atticus Ross scored Gone Girl, the duo's third collaboration with director David Fincher (following 2010's The Social Network and 2011's The Girl With the Dragon Tattoo). Gone Girl's music consists of dark ambient pieces with layered synths, guitars, and electronic noises, and was inspired by the background music Fincher heard at a chiropractor's office that was "inauthentically trying to make him feel alright," according to Reznor. To this end, the soundtrack juxtaposes lush new-age synths and percussion with distortion, noise, and stuttery beats. I'll explore the synth behind many of the film's sounds, as well as how to create these tones using software instruments in your own DAW. 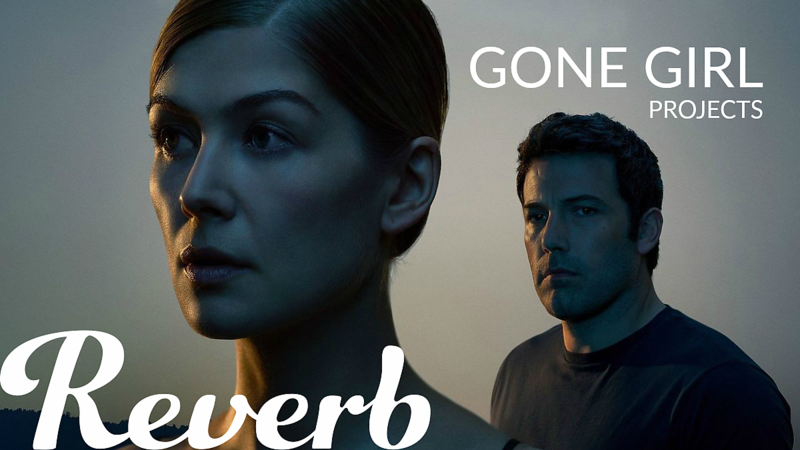 The most prominently used sound in the Gone Girl soundtrack is a rich synth pad that plays some of the film's uneasy chords, as in the tracks "Appearances," "Just Like You," "Like Home," and "Sugar Storm." Some of the synths on the soundtrack may have come from the Dave Smith Instruments Prophet 12, a powerful polysynth that, in 2014, was still brand new. In a Reddit AMA discussing the Nine Inch Nails album Hesitation Marks, recorded close to Gone Girl, Reznor mentioned that "a Prophet 12 showed up towards the end of recording and jumped to the number one spot." The Prophet 12 is a top-of-the-line modern synthesizer that boasts 12-voice polyphony, onboard distortion effects, a delay effect, pan spread, and powerful modulation capabilities. More than that, it sounds fantastic, and the main pad sound is straightforward to program in any polyphonic synthesizer. A great software synth is the Arturia Prophet V, which emulates the original Sequential Circuits Prophet-5. To program the pad patch, start with two sawtooth oscillators with one oscillator fine-tuned 11% sharp to fatten up the sound. The template patch "Pro5 2 Osc" is a good starting point. Lower the cutoff knob to the halfway point and raise the attack and release in the amplifier envelope to around 500ms to get a soft fading effect as the sound starts and ends. The patch is still pretty dry, so we want to run it through delay and reverb effects. The Prophet 12 synth has a built-in delay effect, so Reznor and Ross could've used this or an outboard delay effect. Prophet V also has an analog-style delay, perfect for adding some space to our pad patch. Set the delay times quite short, around 300ms, and raise feedback and mix level high to create a ghostly delay effect. For reverb, go large and use a decay time of 4 seconds with a mix around 40%. We can vary the sound of this patch to complement the musical material by adjusting the filter—by raising the cutoff frequency, we make the track more intense. Experiment with small amounts of filter resonance and envelope modulation to make the sound slightly brighter, as in "Like Home." Another synth piece from the soundtrack is "Procedural," which is built around a synth track consisting of a simple melodic line run through a rhythmic delay effect to create a complex, cascading sequence. We want to program a basic plucked patch, so open Prophet V and set up a one-oscillator patch. Set the oscillator to a square-wave with the pulse width (PW) knob set to the 9 o'clock mark (0.15). To create the plucking effect, lower the filter cutoff to 0, raise the envelope amount to 2 o'clock and set keyboard tracking (KBD) to 12 o'clock. Now, set the filter's ADSR envelope with decay and sustain at 9 and 3 o'clock, respectively. Modulating the filter like this causes each note to trigger quickly close the filter, creating a guitar-like pluck. For the delay effect, we want the repeats to fall on the 1/4 note and dotted 8th note. Most delay plugins, including DAW's built-in delays, have a sync mode to keep the delays in time with the tempo. Prophet V has a quality-sounding analog effect built-in, but it doesn't allow dotted rhythms. You can set the delay times to 500ms and 375ms for the delays to repeat in time with the "Procedurals" tempo, which is 120 bpm. Set feedback around 20-30% and mix to 30% to get a few audible repeats without overpowering the main synth line. The score also features some menacing bass, with both rhythmic plucked basses and long, distorted tones. 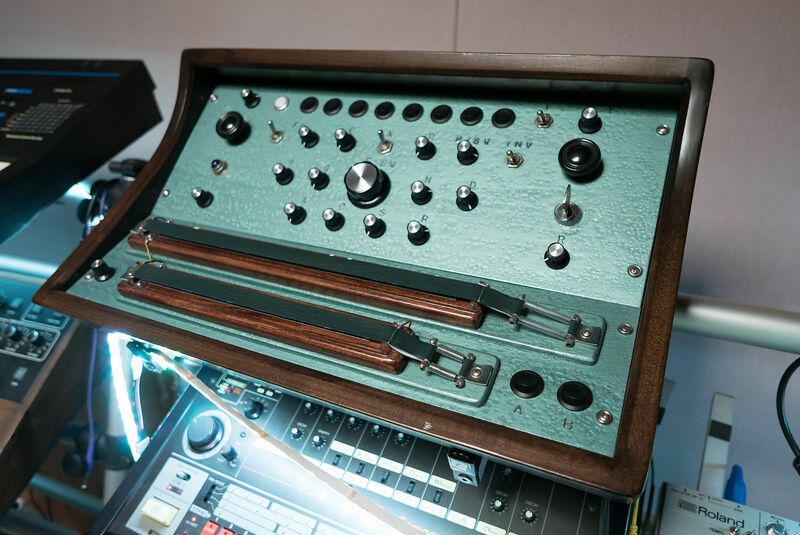 The bass plucks on the score may have been recorded on another of Reznor or Ross' synths, such as the Moog Voyager. Both the Prophet 12 and Arturia Prophet V are capable of producing excellent bass tones, so let's program a patch similar to the one that introduces "Technically, Missing," which plays during the plot twist in the middle of the film. Start with the "Pro5 2 Osc" template patch again, and just like with the previous patch, lower the cutoff to 0 and raise the envelope amount to the 2 o'clock mark. Set decay at 2 o'clock and sustain at 9 o'clock to get a nicely timed pluck. Processing these plucked bass patches with compression will help them sound fatter, and saturation and light overdrive plugins will add some growl. It's not a synth, but the vibraphone plays a prominent role in the soundtrack, where it helps provide the uneasy, new-age backdrop to several tracks. The vibraphone is a mallet instrument, and its tone changes significantly depending on how hard you strike the bars. Sonicouture Vibraphone is an ultra-realistic vibraphone sampler instrument that opens in Native Instruments Kontakt and Kontakt Player. Whether playing on a MIDI keyboard or programming parts manually, play softly with very low velocities to make your track sound tonally dark. For this type of dark ambient music you can run these patches through a lot more reverb than you would normally. Used more prominently in the duo's soundtrack for The Social Network, the Swarmatron makes a reappearance in the Gone Girl soundtrack. The Swarmatron is a ribbon controller operator synthesizer produced by Dewanatron Electronic Music Instruments, and it produces eight voices that can all be detuned from each other, creating a bee-like effect. Swarmatrons are handmade and incredibly rare, but there are several plugin versions that attempt to emulate the Swarmatron sound, including a free Reaktor ensemble that mimics the interface of the original instrument. This plugin has a preset called "Social Network Classic," that uses the settings that Reznor and Ross use in their soundtrack work. The instrument is a lot of fun to play. Here, it supplies a drone that drifts in and out of tune. Check it out in "Like Home." About the Author: Dan Carr runs Reverb Machine, a website dedicated to exploring "the wonders of synthesizers and music production." Check out his site for more breakdowns of popular artists' use of synths and unique recording techniques. Below, you can download all of the patches Dan used to recreate the Gone Girl score, as well as Ableton Live sessions for each track.